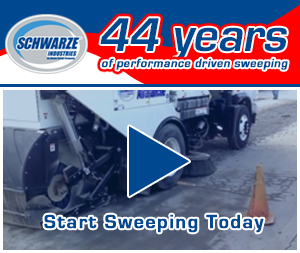 The Elite Sweeping Company, Inc., in Kansas City KS represents the American success story of a business that established itself and has sustained its long-term success on the same principles—a rare record of consistency over time in an industry in which trial and error down various experimental revenue streams has become more common. 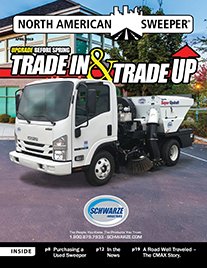 In fact, when asked about their plans for competing profitably over the next decade in the medium-sized KC sweeping market, Elite’s four owners—David and Debbie Dearth and their son Casey and his wife Julie Dearth—answer simply that they will largely maintain course. However, their model is far from rigid. The team flexes with inspiring maneuverability in its supremely organized approach to delivering the region’s most highly responsive grade of customer service. The Elite top management team offers deep competitive insights into the Kansas City sweeping service market, including on logistical and economic issues and conditions across the city that present challenges and opportunities for sweeping companies and their highly-productive teams. 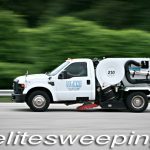 After working for 36 years and 26 years, respectively, in the sweeper parts and broom manufacturing business, David and Debbie founded Elite. They had had so much contact with industry professionals through their years of selling to them that they had developed a good understanding of much of what the sweeping business appeared to entail. By that time, the company that their son Casey had been working for was sold off. So, in March 2005, the group decided to start Elite as a family business. David and Debbie provided a foundation of sweeper industry knowledge, Casey brought expert mechanical capabilities to the enterprise. And, Casey’s wife Julie brought a wealth of applicable administrative experience from her background as an insurance industry professional. The well-rounded ownership team possessed all of the core skills to create a successful business in their chosen field and market. The Dearth family team worked hard to steadily build a clientele, and looked to the day that they could start hiring people and develop a team. Today, the company has 23 employees. The Elite partnership team sustains its long-term success largely through word-of-mouth. The majority of Elite’s business is with local area property management companies, large retailer like Wal-Mart and Home Depot and in handling support services for regional sporting events. 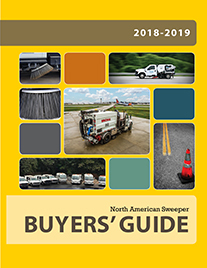 They also receive an appreciable percentage of their business from national accounts managers who contract work to local sweeping companies. Elite also services all Kansas City chiefs events as well as Sporting KC soccer events at the Children’s Mercy Park Complex. Elite is uniquely positioned for cost efficient operations. Casey, coming from the automotive industry, is very hands-on. Under his direction, the Elite shop does all of its own repairs. The company employs a full-time on-site mechanic. And, the auto shop team does all tire changes and other maintenance tasks. Because Casey has the critical knowledge and manages scheduling, “We don’t go outside for mechanical repairs or maintenance, unless it’s really necessary,” David explained. Springtime is always the busiest period for Elite. “We’re one of the only parking lot sweepers in Kansas City that can handle picking up the sand and salt, David noted.” Everything remains steady through the rest of the year, including winter. Of course, there are certain inevitable, continuous changes in the client base. David explains that large retail businesses around town tend to experiment with new approaches to maintaining their areas, frequently low-price shopping, switching service providers, then trying to do the work themselves. Elite’s experience has been that those customers eventually return to more mainstream providers that understand the costs of providing services and set prices accordingly. Surprisingly, David notes that seemingly small expenses of time can chip away at productivity and at the business’s interests. He suggests, for example, that workers out in the field are confronted with challenges to meet often excessively lengthy reporting requirements, via inefficient Apps that some national dispatching services use. Technicians can find themselves spending as much time logging into slow systems and entering cumbersome reports on their work into systems that route to service channels for payment than they do actually performing the work. The team has found that they can provide a much better value to customers on a direct service order basis, bypassing the excessive cost of working through national third party dispatching systems. Elite services clients located throughout the metro area, as far into outlying cities as St. Joseph, MO, Lawrence Springs KS, and Raymore MO. Their competitors do the same. “We’ve got competitors, but they and we are all servicing accounts we’ve been working with for many years. Competition in KC is friendly. Our competitors farm out business to us, and we do the same for them,” according to David. On any given night, Elite services about ninety stops. During daytime hours, Elite porters arrive by pickup truck and walk the client’s grounds and fence line, picking up loose trash during the day while a sweeper truck would be too disruptive to the client’s business traffic flow. 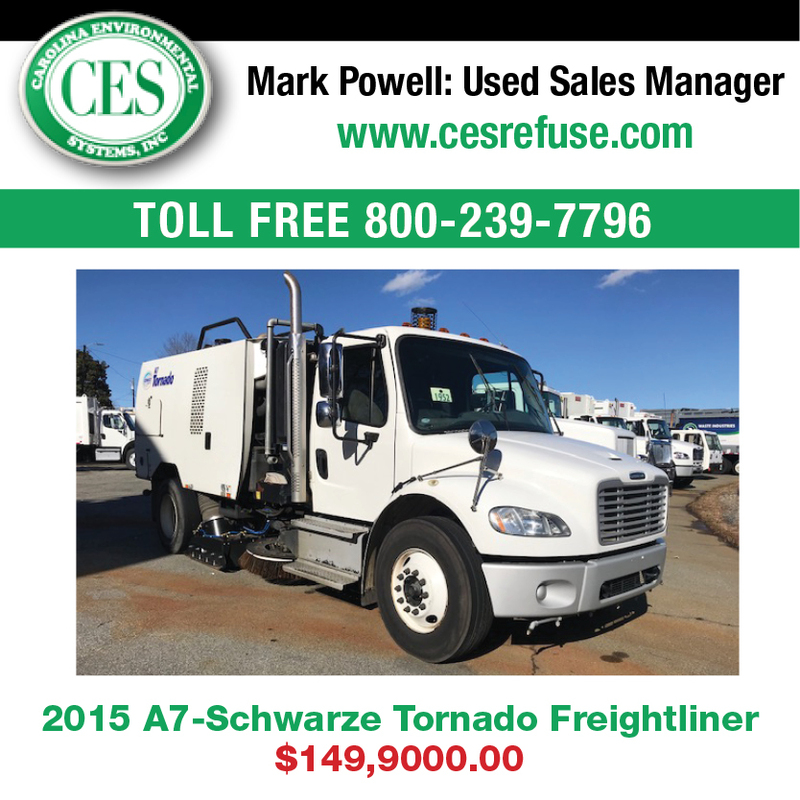 The company has been providing portering for a number of years, as well as window washing, power washing, and pavement sweeping. Debbie explains a key value-added service that distinguishes Elite in its market, “We are one of the few service providers in the area that can respond as quickly as we do. If a customer call us at 10:00 this morning, or at 2:00 this afternoon, we can go immediately.” This stand-out response time would undoubtedly distinguish any company in any industry these days. Elite also runs with two workers per truck, whereas most of their competitors appear to run with only one. With this double-teaming arrangement, one worker can use a blower on sidewalks, pick up trash, etc., as the driver keeps up along the way. This more time-efficient approach increases productivity and quality. Elite trucks are equipped with dashboard cameras facing outside the truck, so Elite quality management can see what the driver sees, from monitors in the Elite headquarters. Another camera faces inside, to view what the driver is doing. This full-video information and validation approach offers Elite management and field teams the ultimate assurance of strong customer relations and satisfaction. Additionally, all Elite trucks have the latest iPhones, to ensure that workers can most efficiently navigate the required Apps used by national dispatch services. For an important word about branding, Debbie explains that Elite uses uniform signage on all company vehicles to help promote brand identity. And, she mentions that the company’s phone number is placed in large lettering on the sides of all trucks, whereas many companies’ identifiers are hard to find on their trucks, and phone numbers are often not included at all. Elite trucks are all easily identifiable by the company’s consistent design and prominent placement of its signage on trucks—a convenient and very low-cost use of already available operational resources for branding. This special attention to professional image has worked very well for the company, promoting its clients confidence in the service and validating their good decision in contracting with a quality contractor whose equipment becomes an asset, by extension, to the client’s own business. Technology and quality equipment is high priority at Elite. The company runs only Tymco brand sweeper trucks, and currently has eight in operation. Some companies have switched to natural gas trucks, but we don’t really want to install a costly pump for that at this point. We don’t see the benefit for now. David notes that the company does run dual engines (front-gas and back-diesel), which allows them to take advantage of current off-road fuel tax benefits. The federal government pays back fuel tax to companies using this engine combination for off-road work activities, such as parking lot sweeping. The Elite company owners assess their position and say that they’re actually pretty happy with where the company is now in terms of its growth rate of about 10 to 20 percent per year. David explains that the business has looked at contracting to do street sweeping the city, but the costs of doing so have made the proposition less than attractive for them up to this point. “If you do good work, do what you say you’re going to do, and show up on time, that’s what it’s all about in a service business,” David summarized. It’s certainly easy to see the appeal of a service business for an ownership team like the Dearths—a group of industry, tech and admin experts with a shared deep commitment to service quality and client satisfaction.